Yes, I got a new Cam for as a birthday gift,a Nikon D5100J. Can you believe that I couldn’t play around it for 1 whole week? I am swamped in neck deep work and crazy meetings. When I say crazy, I mean literally crazy..I had to yell at them to give me a 2 min toilet break. My brain has gone dump after justifying, arguing and fighting from 9-6 for 5 days.. So as my brain is on strike, plus I am home alone, plus laziness mean no cooking and no baking. The only thing I am doing is JuicingJ. Here is the Plum juice, which was my breakfast and lunch. Add the plums, sweetener as per your taste and the dried ginger in the blender. Blend for a few minutes, add the water and continue to blend for few more minutes. Happy Birthday Ramya. Belated wishes though they are. Great pics and love the plum juice. I dο not eνen knοw how I endеd up here, but I thought this post was good. а famous blogger if you are not already ;) Cheers! 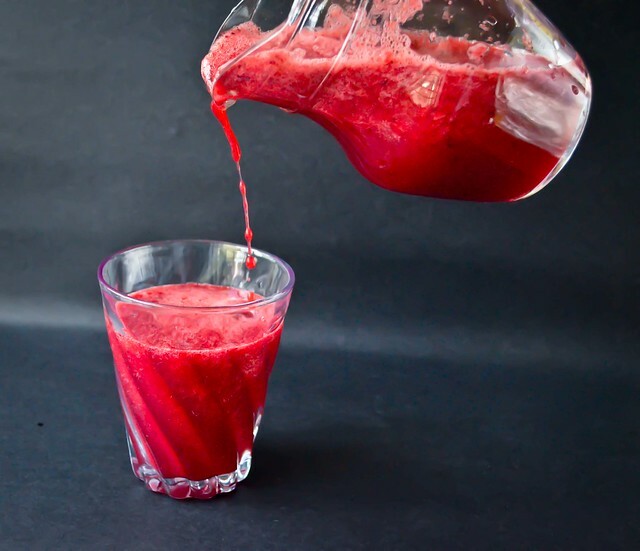 Simply refreshing and vibrant looking juice. Wonderfully prepared. I bought a box of plums thinking would make some clafoutis but they are so tart cant tell you. this juice looks awesome. especially the colour. 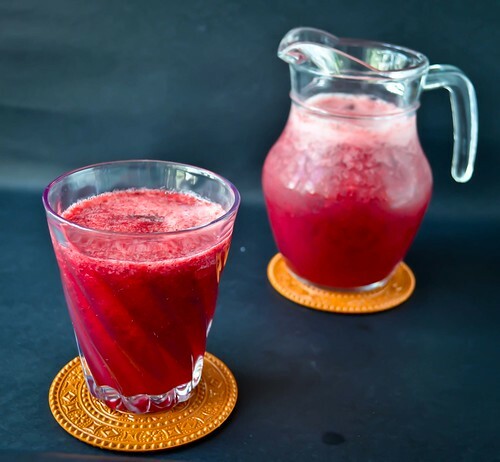 Love the sparkling red color, juice looks refreshing too! Awesome, and such lovely clicks..
Lovely drink and really love your 1st photo! Beautiful click, nice plum juice. Congrats on your new camera, keep taking new pictures. this looks so tempting. never tried it so far..I make jams with plum..I will surely try this too. Hey ur 2nd photo for this post is unavailable ..kindly check if its loaded properly..
Amazing clicks Ramya! Love the composition.